Most Americans don’t realize that their wildlife is already effectively managed for and by hunters. Arizona is voting on formally giving the 5% of its citizens who hunt priority over the 31% who prefer just to watch wildlife. The measure is also dumb financially. Wildlife watchers spend $789 million in Arizona each year, while hunters only spend $322 million. Keep reading Should the 3% of Arizona that Hunts Control 100% of the Wildlife? 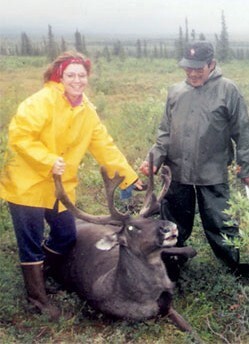 Sarah Palin – Caribou Hunt,courtesy Grizzly Bay by way of Kinship Circle. 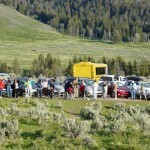 Interior Secretary Ken Salazar created a new panel for citizens to tell the federal government what to do about conservation and wildlife. But, instead of having the Wildlife Hunting and Heritage Council include the growing portion of Americans who just want to watch animals, not gun them down, he geared it to the dwindling minority of hunters. 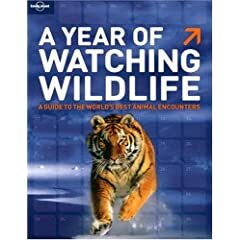 More Americans have fun watching wildlife than shooting it (71 million wildlife watchers versus 12.5 million hunters), according to the U.S. Fish and Wildlife Service. Hunters already have advocates in the NRA. State wildlife a encourage hunting. The Pittman Robertson Act makes sure of that. As any NRA member can tell you, there’s a 10-11% tax on guns that supports wildlife and conservation. That tax makes the agency beholden to hunters. Seven states have commissions that specifically require hunters or anglers, the HSUS says.